I am often asked where my stories come from. I'm not always sure. Sometimes a story just comes to me in waves (or trickles) of inspiration and oftentimes it's not until the very end of the book that I see where my characters are taking me. This is such a tale. Grace is the story of a young runaway girl and the boy who hides her from a frightening world too large and unfathomable for him to comprehend. It is also about two brothers and the love that binds them together through difficult times. In some ways this is the most autobiographical of all my novels. 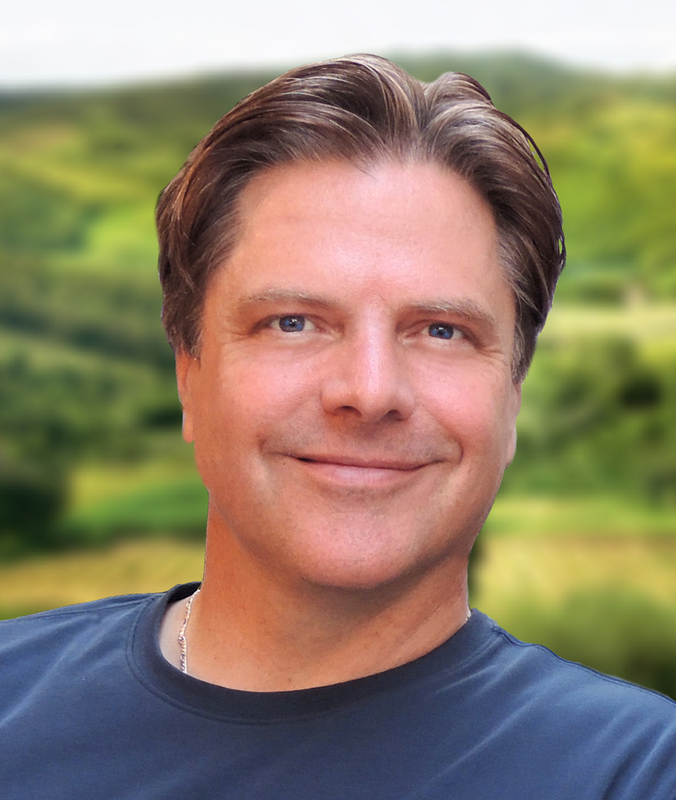 When I was eight years old my father lost his job, and we sold our home in beautiful and aptly named Arcadia, California, to move to a poor neighborhood in Utah and into a rundown home like the one I describe in the story. I have no fond memories of that time. Not one. I wanted to go home. I've found my home now, and it has nothing to do with the place where I live, and everything to do with the family I love. This reading group guide includes an introduction, discussion questions, ideas for enhancing your book club, and a Q&A with author Richard Paul Evans. The suggested questions are intended to help your reading group find new and interesting angles and topics for your discussion. We hope that these ideas will enrich your conversation and increase your enjoyment of the book. She was my first kiss. My first love. She was a little match girl who could see the future in the flame of a candle. She was a runaway who taught me more about life than anyone has before or since. And when she was gone my innocence left with her. As I begin to write, a part of me feels as if I am awakening something best left dead and buried, or at least buried. We can bury the past, but it never really dies. The experience of that winter has grown on my soul like ivy climbing the outside of a home, growing until it begins to tear and tug at the brick and mortar. I pray I can still get the story right. My memory, like my eyesight, has waned with age. Still, there are things that become clearer to me as I grow older. This much I know: too many things were kept secret in those days. Things that never should have been hidden. And things that should have. 1. “It’s been said that parents should give their children roots and wings.” To what extent is this statement true of Eric and Joel’s parents? How might Grace modify this expression to describe the role her mother plays in her life? In your experience as a child and/or parent, how do you interpret this statement? 2. Why doesn’t Grace explain to Eric the true nature of her dilemma earlier? How does the author’s decision to reveal Grace’s character gradually affect your appreciation of her difficult situation? How does Grace’s plight as a runaway make her especially prone to falling in love with Eric? 3. How does his father’s suffering from Guillain-Barré syndrome facilitate Eric’s concealment of Grace? How might having a relative who is seriously ill predispose Eric to behave with kindness toward Grace, when he first discovers her? In what respects is Eric an atypical teenager? How is he typical? 4. How does the threat of nuclear annihilation during the Cuban Missile Crisis intensify Eric and Grace’s feelings for each other? How does the crisis affect Eric’s immediate family? How does the author’s decision to set these character in this era impact your appreciation of the novel? 5. How does their Halloween encounter with Stan, Grace’s stepfather, affect Joel and Eric? Why does Stan abuse them verbally when they trick-or-treat? Why doesn’t Grace’s mother make more of an effort to protect her daughter from her husband? 6. “I just don’t think God wants us to do good things because we’re scared. I think he wants us to do good things because we’re good.” What does Grace mean by this remark? How is the morality of Eric’s actions complicated by the depth of his feelings for Grace? 7. Why is Grace successful at concealing her pregnant condition from Eric and others for so long? How does the revelation of her pregnancy affect their relationship? To what extent is Eric justified in taking offense when Grace describes him as a naïve boy who believes everything everyone tells him? 8. “Hawaii was just someplace I’ve always wanted to be, the way some people think of heaven.” Why does Grace lie to Eric about having come from Hawaii? Why is she so moved by Eric’s recreation of a Hawaiian meal for her on Christmas? When Grace writes in her diary, “Eric is my Hawaii,” what does she mean? 9. Why does Eric ultimately reveal Grace’s whereabouts to the police? Why does he blame his parents for what ultimately happens to Grace, and to what extent do you agree with him? Why doesn’t Grace say anything to Eric as she is led away by the police, and what does her silence suggest about her premonition of what will happen when she is returned to her home? 10. “My whole life I have hoped for redemption. Redemption and grace. I don’t deserve it, but I still hope.” How does Eric’s career path as an adult reflect the enormous impact of his childhood friendship with Grace? To what extent does he seem to have found both redemption and grace in his chosen profession? 3. 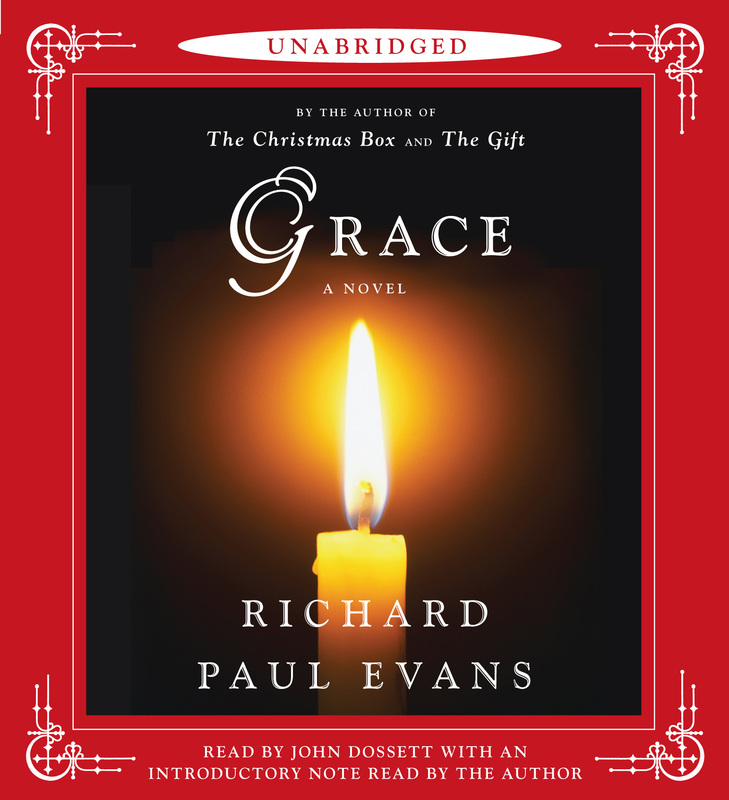 In Grace, Eric’s moving encounter with a young, innocent woman who is victimized prepares him for a career in social justice. How have you been affected by those less fortunate than you? When have you have felt compelled to help a stranger? Along with fellow members of your book club, brainstorm some ways that your group might contribute to those in need. For example: in lieu of a regular meal with friends at a restaurant, volunteer together at a local food pantry or homeless shelter. Q: Grace takes place during the darkest days of the Cuban missile crisis. What led you to set the novel during that turbulent era of American history? Q: How do the characters and plots you explore in your novels germinate? A: First, the characters. With the exception of Richard in The Christmas Box, Eric, the novel’s male protagonist, is probably more like me (as a boy) than any character I’ve ever created. Grace’s character just came to me–a beautiful, strong yet damaged female character who is, like all my favorite characters, a study in contradictions. She is smarter and more mature than Eric, but beholden to Eric for his goodness. I’m not sure where the plot came from. I started out writing a story about a wealthy man who takes a bet to live homeless for a month and I ended up with Grace. I’m always amazed at the inspiration that comes to me. Q: Grace’s character remains elusive in the novel, though we get a glimpse of her innermost thoughts in her diary excerpts. Was it your intent that she remains something of a mystery to your readers? A: I chose to keep Grace somewhat mysterious for the sake of the book’s climax. The twists near the end have surprised most of my early readers. Also, the story is told from Eric’s perspective for obvious reasons—Grace isn’t around at the end to tell her story. I included Grace’s diary to get some insight into her experience that wouldn’t happen otherwise in a novel written in first person. Q: Why did you decide to allude only indirectly to Grace’s abuse? A: Again, I wanted to lead the reader into her story. It would have weakened the impact to begin by laying out her whole experience. Also, this is told from Eric’s point of view. As he learns more about Grace he grows and matures. In this way the reader, and Eric, have the same experience. (Though I expect my readers are much more likely to figure things out in advance.) The reading experience is like turning the burner on full and watching the water start to boil. Q: If Grace were made into a movie, as several of your novels have been, what actors could you happily envision playing the roles of the protagonists? A: I’m a huge Dakota Fanning fan, so I would cast her—though she’d have to age up to the role. I’m not sure who the boy would be, though Haley Joel Osment would be good if he’s not too old by now. I could see Mary Steenburgen as the mother. Q: To what extent do you set out consciously to examine or explore religious themes in your novels? A: At one time in my career Barnes and Noble bookstores categorized my books as religious fiction. Though I am active in the LDS faith, I am fascinated by all religions and have studied many of them. I find myself seeking out the commonalities of our different religious experiences with hopes of encouraging, through my writings, the most hopeful, loving and redemptive qualities in all of us. Q: In your experience, how do readers who are not religious respond to your work? Q: Who are some of the authors you most admire and why? A: That depends if you mean as writers or people. In terms of writers, I tend to read more non-fiction than fiction and I love the works of Marianne Williamson (brilliant), the late M. Scott Peck, and one of my new favorites, Erik Larsen. Q: What were some of the challenges you faced in narrating Grace from the perspective of an adult looking back on his experiences as a fourteen-year-old? A: It was a little tricky, as Eric the boy was frightfully naïve and I had to be careful not to allow him knowledge he wasn’t ready for. I just put myself in his shoes. I guess I haven’t lost the inner child. ;-). Q: Can you discuss in a bit of detail the Christmas Box House International, its aims, and your involvement? A: I am the founder and Chairman of the Christmas Box International. Our original goal was to build emergency shelters to help abused and neglected children. We’ve done well in that regard and to date we’ve housed nearly 20,000 abused children. Our goals have taken an ambitious leap this year as we launch the Christmas Box initiative, our objective being to give aid to every youth in America transitioning out of foster care. The statistics on these youth are appalling and I believe we can help these youth break the cycle of poverty and abuse and live productive, happy lives.